Private-hire car services have caught the public imagination in Singapore. Since the launch of Grab and now-defunct Uber in 2013, an increasing number of Singaporeans are switching over from traditional taxis to cars booked through the new ride-hailing apps. A recent survey by the Public Transport Council, an independent regulatory statutory board under the Ministry of Transport of Singapore, points out the extent of the change in riding habits in the country. The door-to-door survey revealed that the popularity of private hire car services like Grab registered a jump of 20.5% in 2017 over the previous year. This gain came at the loss of taxi services. Their average daily ridership slipped from 954,000 in 2016 to 785,000 in 2017. The ride-hailing apps have allowed thousands of Singaporeans to start using their private cars to earn some extra cash. Many individuals are providing private-car hire services on a part-time basis. Others have made this their primary occupation. If you want to start providing private-hire car services using your own car, you can do so by complying with a few simple regulations. Convert your vehicle to the Z10/Z11 category under the Land Transport Authority’s rules and apply for a Private Hire Car Driver’s Vocational Licence. After you complete the regulatory procedures, you’re all set to start operating for private hire car companies like Grab. However, there is one more important rule that you need to comply with. You have to cover your car under a commercial insurance policy. The Land Transport Authority, a statutory body under the Ministry of Transport, has clarified that private-hire cars need to be insured against third-party liability risks. This includes coverage for death and bodily injury to passengers. Indeed, private hire drivers and passengers have been involved in a number of fatal accidents in recent years. In July 2017, a 31 year old male passenger was fatally injured when the private hire vehicle he was riding in skidded off the road at Xilin Ave. The driver escaped unscathed but was arrested for negligence. Another passenger was fatally injured in September 2016, when her private hire vehicle drove into a stationery lorry and van on the Seletar Expressway. On top of that, a pedestrian was fatally wounded when she was hit by a private hire vehicle at a pedestrian crossing in Hougang. The first driver was sentenced to a jail term and a 5 year driving ban, while the second driver was slapped with a fine and a 5 year driving ban. So where does insurance come in for such cases? Consider a situation where a passenger is injured when riding in a Grab car. The injured person can claim compensation from the owner of the vehicle. If the car has complied with regulations and is appropriately insured, the claim will be made on the insurer. 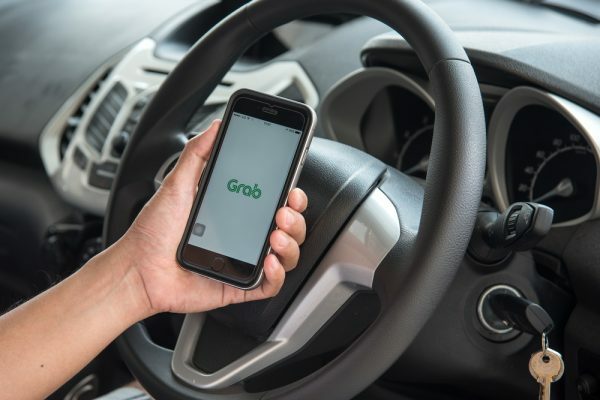 If a Grab vehicle is not insured, the owner can be penalised by the regulatory authorities. An uninsured private-hire car can lead to its owner being liable for a fine that may be as much as S$1,000. The penalty includes the possibility of being imprisoned for up to three months. Additionally, the driver could be barred from holding a driving licence for 12 months. Learn more about purchasing your commercial car insurance in Singapore now. Third party insurance – this comes in two variants. The first is “third party only.” As its name implies, it provides coverage only for the other party. So, if you are involved in an accident in which both your car and another car are damaged, the insurer will only compensate the owner of the other car. You will have to pay for the repair of your car. Third party, fire, and theft – this coverage goes one step further than that which is provided by “third party only.” In addition to compensating the other party, it provides some compensation to you as well. If your car is stolen or damaged in a fire, the insurer will pay you. Comprehensive – this coverage provides the greatest degree of protection. In addition to compensating third parties, damage to your car is covered as well. Remember that the products offered by different insurers can vary widely in terms of the benefits that they offer. While the classification into third party only/third party fire and theft/comprehensive provides you with a basic idea of the type of insurance that you are buying, it is advisable to dig a little deeper. Study the product brochure carefully and understand what it says. Here are some of the issues that you should watch out for. Excess – that’s the amount which you need to bear in case the insurer agrees to compensate you for a claim. To understand how excess works, consider a situation where the damage to your car in an accident is of a value of S$3,000. Your policy states that the excess is S$1,000. In this situation, you will be compensated only to the extent of S$2,000. Remember that the excess, which signifies your contribution, comes first. The insurer’s payment kicks in only after the excess has been adjusted. There may be various types of excess. Common types include standard excess and windscreen replacement excess. There is even a young driver and elderly excess. If the driver of the car is less than a certain age and or above 70 years of age, the excess that you will have to bear will be greater. Check the excess on your proposed policy. Agreeing to accept a higher excess will usually get you a lower insurance premium. No claims discount – commonly referred to as an NCD, this is an entitlement you’ll get from your insurer if you have not made any claims under your policy for more than a year. With that, you would get to enjoy lower premiums in the following year. It’s important to understand the details of the NCD that the insurer is offering. The discount on your insurance premium could be as much as 50% if you meet all the required conditions. The table below shows the standard followed by all insurers in setting the NCD, depending on your type of vehicle (private or commercial/motorcycle) and the period of insurance with no claim. If you make 1 claim on your policy, this is how your NCD will be affected. If you make two claims within a year, your NCD will be reduced to 0%. However, your NCD may not be affected if you are involved in an accident with another vehicle and are found to be completely not at fault. Always check with your insurer. Some insurers even offer a protection against the loss of your NCD once you have earned 50% NCD. Do note that the NCD applies to you, and not to your vehicle. So, if you were to sell your vehicle and purchase another within 12 to 24 months, or switch to another insurer, you would be able to retain your NCD. That being said, your NCD cannot be applied to more than one vehicle at a time. For every additional vehicle you own, you would need to earn your NCD for each one separately. What’s more, if you do not violate any traffic rules for 3 consecutive years, you would receive a Certificate of Merit from the Singapore Traffic Police. Upon receiving that certificate, some insurers might grant you a further 5% discount if your NCD is above 30% for private cars, or above 20% for commercial vehicles. Compensation for loss of use – You may be eligible to receive ‘loss of use’ under the terms of some insurance policies. However, if the policy does provide for such coverage, the repair needs to take more than 3 days, for you to be eligible for that claim. When you ask your insurer about this coverage, remember to check whether claiming this sum will affect your NCD. Don’t make the mistake of signing up with the first insurer that you talk to. It’s definitely worth your time to speak to two or three insurers and compare the benefits under their respective policies. The effort that you put into choosing the right policy could save you many thousands of dollars in the event that you ever need to make a claim. Need more help with your commercial car insurance purchase? Get advice from CompareKaki.